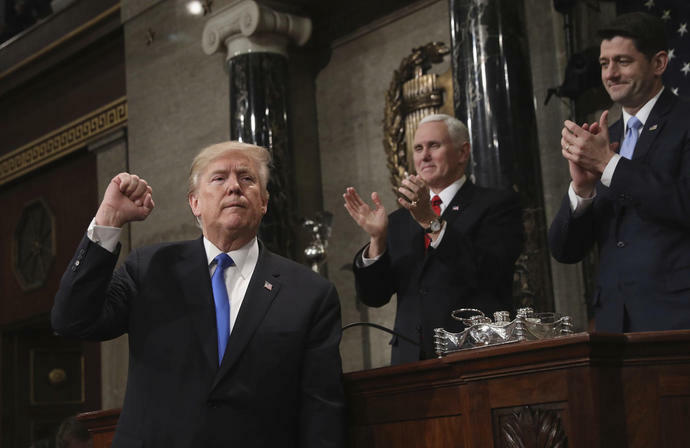 WASHINGTON (AP) -- President Donald Trump whiffed on some lofty goals that he laid out in last year's State of the Union address, most notably his call for an overhaul of immigration laws and a "great wall on our southern border" but also on his pitches for a big infrastructure boost and bringing unity to Washington. He scored victories on legislation dealing with prison and sentencing overhauls, and in giving terminally ill patients more treatment options. His promise of new trade deals is a work in progress.